T-Mobile must be working fast and furious as the year winds down and they try to make good on their promise of 200 million customers covered by 3G goodness. Currently sitting at 187 million, the announcement of Cary, Fayetteville and Wilmington, NC will bring that total up a little more. Not to be forgotten of course is Tulsa, OK who after a false alarm yesterday has gotten the official green light today. Sound off below and tell us how you are enjoying your early holiday gift! I am still waiting for 3G in Little Rock. Just 2 weeks ago, after over a year of using GPRS connection on the BB 8900, it changed to EDGE. Thank god. Now, with that change, all I see in the very recent future is hopefully a HSPA+ and try to see if tmobile would be nice enough to give me a Nexus One, being a VIP Client for over 10 years. lol. Enjoy all the new 3G peeps. AWESOME! I’m sitting here in Hope Mills NC, a small town outside of Fayetteville NC. I was worried that when 3G hit I’d be outside of the 3G area … but lo and behold … I’ve got 5 bars of 3G goodness on my T-Mo 9700! While I can tell that it’s faster, I want to put some numbers behind it. Any suggestions for mobile speed tests that will work with the 9700? I hope this is allowed if not forgive me ehh? That’s retardedly fast! Post up the result image! Louisville still suffers with Edge. at this rate, i would not be surprised if we were the last city to get 3g turned on, 100 years behind the last city to get it. the world hates us. i know it. i will be severely pissed if lessington has 3g before louisville does. Yes Sir Reee – Here in Louisville we have the number one best EDGE service ole Tmobile has to offer. No need to bless us with any 3g. Just keep telling us it’s coming “next month”. Even set a date – December 11th – and give it to everyone else. All we need is “promise” and we all will run right out and buy those Blackberry 9700’s for $450.00 to get that terrific, sweet 3g the next time we visit somewhere that has 3G. But we don’t need it around here. And if we ever get tired of good old EDGE, we can always borrow our buddies’ Verizon or AT&T or Sprint phones. Yep – that’s us. The last city to get 3g would be Bartow Florida. 200 million customers? Really? Wow… when did T-Mo move into 1st place? You mean it would reach 200 million people, right? Also… these sort of claims (sort of like AT&T saying it reaches 300 million people) is stupid. I don’t know many 6 month olds running around with cell phones. It would be more ‘correct’ to talk about how much of the country is covered. Also just because you have 3G in a certain area (Kansas City for instance) doesn’t mean that ENTIRE area is covered. In fact T-Mo’s 3G coverage is extremely lacking right now. So in the end this is just a bunch of hogwash to try and talk up how much coverage they have… or really don’t have. Yes… yes I know this won’t be popular. But it is correct. T-Mo seriously needs to focus on becoming a ‘better’ company as far as actually making their products and services WORK rather than playing the game like AT&T does of how much coverage they have – when in fact it is nothing more than a game. Stuff like home phone coverage, stupid digital frames and etc don’t do the company any good. Just as placing 3G coverage in some areas but not making sure the entire area is actually covered… or that the 3G coverage itself even works properly… is a big mistake. It’s time for T-Mo to actually act like the big company it is and not some startup group that doesn’t have a clue. 200M/300M as a matter of fact is not the subscribers but its the covered population based on the coverage area for their 3G network. I know that every carrier have their prediction model which kind of estimates coverage in a city and in turn calculates the population within the coverage area to come with their number………..also it doesn’t guarentee for a very good coverage for all but just shows how many people are covered for outdoor only. You didn’t really follow what I said, did you? I said that SUGGESTING that you cover 200 million people is a bit…. stupid…. when you’re including everybody in a particular city which includes newborns, 3 month olds, 6 month olds, 2 year olds…. etc, etc, etc. Yes I know that AT&T does it as well… and I said they were stupid to do it also. Plus… as is in the case of Kansas City… I’m sure they take the population of the city as a whole because they ‘say’ they have 3G here but in reality it doesn’t cover the whole city and is very spotty…. just as others have said the same in their towns. So in reality… it’s misleading at best and a lie at worst. They’d be FAR more truthful to say they cover a certain percentage of the United States…. BUT…. saying they cover 37% (or whatever the number would be) sounds FAR worse than 200 million people and that’s why they don’t do it. In the end all I care about is DOING IT RIGHT. If you’re going to offer 3G service then actually make sure it works. Even when I get 3G service here in Kansas City it is RIDICULOUSLY slow compared to what my friends get on other networks. Start making your network better rather than trying to ‘compete’ by just throwing it up everywhere and making it look like you care…. start offering better phones… and by God how difficult would it be to actually offer a ‘fair’ family plan that includes data. EVERY SINGLE OTHER COMPANY DOES IT… but T-Mobile. To more accurately answer your question, t-mobile covers roughly 770 million hectares. They don’t put this in the commercials for the same reason you are now looking up what a hectare is. Hectare was one of the many cuban expatriates who tried to overthrow castro back in the 60’s. Using the number of people covered is really the only logical way to advertise the coverage. The amount of landmass covered doesn’t say much really. You could have border to border coverage in the state of Montana and it would sound impressive when you talk about the amount of coverage area you have. However, you would be covering more people if you only covered New York City instead. Decisions concerning coverage are heavily population driven. Thats how you maximize your ability to get more customers. Sitting just outside downtown Fayetteville and I can confirm 3g coverage. Good to hear it stretches to Hope Mills as well as that is where I live. I’ll check there in a few hours. Really glad to see this getting rolled out here with the pending Gphone on it’s way. I’ve not done a proper speed test but a quick view of a youtube video displayed no buffering (after the initial load) which is far from what I would get with edge. Tulsa here… 3G with a bang! I’m sitting just outside of Downtown Tulsa still on EDGE. What parts of Tulsa are confirmed? i’m in 3g at the 41st and Sheridan area. I’ve been east on I44 in 3g till about 145th st. The 187 million is bogus. As you can’t just take the list of all cities it has 3G coverage in and add their population totals. For example I live in Rochester, NY within city limits (so I count for the actual city population totals) and I only get sporadic 3G. While most parts of the city do get 3G, the NE is very sporadic even within city limits (not counting suburbs). I imagine this is the same everywhere in that some places don’t get 3G or get sporadic. Obviously some places (including other parts of Rochester and including the Henrietta suburb) get really good 3G. But T-Mobile WILL not get 200 million this year. Because I called and they acknowledged my local tower was not 3G and no plan this year to upgrade. And this is a very urban area. The only cities I know of that I have visited that are truely 100% covered are NYC area and Greater Atlanta. Yeah, I tried out T-Mobile for a few days but the coverage on the East side of Rochester isn’t too good. Not only no 3G, but a fair number of dead spots in the SE burbs. I’d like to switch to T-Mobile but they need to add towers and turn up 3G all over town. I wish i could get edge with tmobile because when not inside the loop in tyler there is GPRS outside of that, have done some speedtests on my G1 and a mytouch3g both unlocked one on 3g tmobile and edge with att, why is edge att getting faster up and download then tmo 3g, now i am getting faster up loads with tmo 3g but just barely. OKC got 3g back in mid novemberish and it was very spotty. It did not go full blast until 2 days ago. I have 3g everywhere. If its not all over tulsa it will be soon. Check your coverage on tmobile.com and see what your coverage is. I had great 3G in OKC Monday but I’ve now passed 6 TMO towers just to see from the different site ID’s and nothing. Like what Robert above said, if T-Mobile says they cover an area, they need to do so and more in practice. AT&T does this on its 3G, so why can’t T-Mobile? 3G signal is weaker and covers less than GSM or EDGE does and for that matter CDMA. The wholes will be filled in and it will only get better so Merry XMAS and enjoy 3G guys. Seems like that wasn’t the only places in the Carolinas that got some 3G love today. I can confirm it’s up in Myrtle Beach as well. We are live in tulsa but still VERY inconsistent as a matter of fact some edge in the past were gprs today. Ill chalk this up to growing pains. Love the 3g. Crank it up tmob. Now go give boise some love, I know parr will love ya, And if u can, give ol parr a cookie and some 3g! Oh and a victoru over TCU! We are live in tulsa but still VERY inconsistent as a matter of fact some edge in the past were gprs today. Ill chalk this up to growing pains. Love the 3g. Crank it up tmob. Now go give boise some love, I know parr will love ya, And if u can, give ol parr a cookie and some 3g! Oh and a victory over TCU! Yep. 3G is still spotty and turned off and on I think. I just went through the same place(71st and s. lewis) at 9:15 that I went through at 6:15 and no 3G at 9:15. I think they are still rolling it out among the towers, since the signal is not as strong as it should be. Great EDGE though. Louisville, get ready to enjoy some sweet 3G loving! It has been a long time in the coming, but it is here now for your enjoyment. Stacy Parr, get Louisville off that list of deprived people! uh no? I see no 3g at all. OH SNAP NEVERMIND I SEE IT!!! Where are you zack? It is being lit up tower by tower… so you should have it by morning if you don’t have it now. Still on ‘E’ z street here in the east end. yaay my life has meaning now. I’m posting this with my tethered G1 on 3G thanks for pulling through tmobile! Louisville!! It’s HERE!! 3G in the Highlands. YAY!! Wish I wasn’t so ‘E’lated by this news, still poppin’ E over here. well i first noticed the 3g signal in tulsa on my bold around 8 pm. tested my speeds and it rated at 12.5mbps….dunno how accurate it really was. after the speed test i havent been able to catch another 3g signal. Still on E and hearing reports that the speeds in louisville dropped to around 30kbps even with the H logo. Can anyone confirm? Could be people overloading the network running constant speedtests this morning. Louisville has 3g this morning! 3G in Prospect area of Louisville for about 10 minutes then back to EDGE – seems they are getting ready to go!! Damn. With all the global warming talk I thought it might be tulsa. 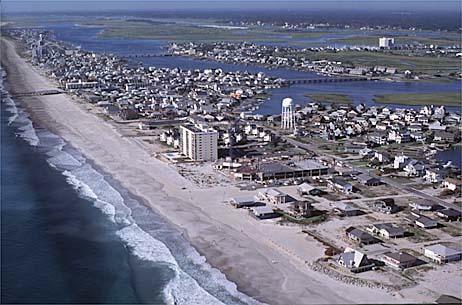 Wilmington is on the atlantic ocean. Got 3G in Louisville in J-Town. Tmobile 3G up in Louisville. But no emails are going through for Tmobile subscribers now – assume this will be fixed. 3G in Louisville. Downtown, I-65, Gene Snyder around to Fern Creek all were 3G as I drove to work. E-mail coming through okay for me on my TP2. Yaaaaaay! I’m so excited. Hopefully that means when they go to HSPA we will go to. I’m so excited. Finally. Now for the snapdragon processor (never satisfied, but I have stuck it out with T-mobile). Oh by the way, I’m so excited. I hope you dumb east enders dont get it. Still no 3G on Fort Bragg! X-( This Army post makes up the majority of Fayetteville, NC, with ~50k people working on it every day. Will check the downtown area later today… So far, not impressed. OK, so my Bold 9700 picked up 3G out in town, but still not on base. C’mon, T-Mobile, whats the deal?! Just like in other areas they can cover part of the town but then calculate everybody in that town as being ‘covered’ by 3G. They are so far more concerned about numbers than actual service it’s becoming scary. Even their customer service people have started to be a bit arrogant – sort of like Verizon – because they’re probably being told how great things are becoming and they feel they can start just telling their customers to accept things instead of actually trying to help. I got engaged on that beach this past October! Normally live in Rochester and 3G is still popping up in new places.